Whether you’re traveling for a short vacation or planning to work there for the foreseeable future, it’s important to understand the Russian visa cost. Unlike countries that offer visa-free travel or visas on arrival for US citizens, Russia requires a bit more than your average tourist or business visa. There are all sorts of opportunities to explore the former Soviet Union. Many stick with the western regions, snapping a photo in front of Saint Basil’s Cathedral or taking a few days to explore St. Petersburg. Yet there are many more adventurous travelers who start out east, ferrying from South Korean to Vladivostok and taking the Trans-Siberian Railway as far as they can stand. How can Americans get a Russian visa? It’s far from impossible for US citizens to obtain a Russian visa, but once you experience the application process, you’ll most likely be begging for the bureaucracy to end and just sweep you off to Moscow. Doing your research and planning exactly how long it will take you to get a Russian visa will save you time down the road, not to mention a tremendous headache. This letter is required of all US citizens traveling to Russian. Though you may want to plan your accommodation and domestic travel well in advance of your trip for peace of mind, not all of this information is necessary for the letter. It’s mainly to show the Russian government whether you plan on traveling to their country for business or pleasure, and in what areas you’re planning to stay. See the next section for a detailed breakdown of the Russian visa cost. Once you’ve successfully gathered all the documents you need and are officially ready to apply for the visa, you might assume it’s just smooth sailing. Trusting your application to a visa and passport processing company like Travel Visa Pro will ensure there are no costly mistakes by double checking everything. This can save time in what was already a lengthy visa application process, not to mention getting your application the attention and care it deserves. – Medical certification specifying you are not HIV positive if you’re entering Russia on a business visa. This is required for those traveling on business visas. More about Russian visa requirements can be found here. That’s right: invitation letters, the vital pieces of information necessary to process your Russian visa application, aren’t free. For 30 USD, travelers can request such a letter from an official travel agency allowing them multiple entries into Russia for up to three years. 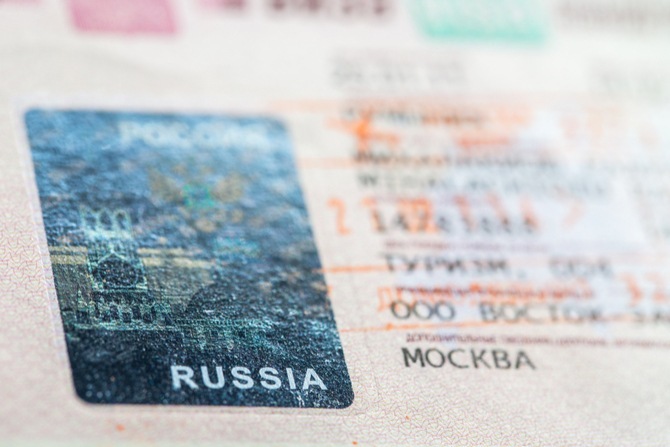 Business travelers to Russia may apply for a letter for single, double, or multiple-entry visas valid up to a year allowing them to conduct meetings, conferences, or research from 80-300 USD. Assuming you’ve gathered all the aforementioned documents – photos, invitation letter, medical certification, etc. – there’s still the matter of paying the Russian visa cost. Russian visa processing times can significantly vary from office to office, but the fees are standard for US citizens. All these fees assume processing times of between 4-20 business days. Expedited service is available through Travel Visa Pro at twice the price – $180, $244, and $540, respectively – and guarantees processing within three business days, minus time for shipping if you sent in your application through the mail. How Fast Can You Get a Visa to Russia? If you have a new or recently renewed passport, two recent photographs, and entrust your application to an agency like Travel Visa Pro, it’s possible to get your Russian visa in as little as 2-3 business days. Any missing documents can significantly increase the wait time – by weeks in some cases – between receiving the application and your scheduled departure, so be sure to send everything in advance if possible. More info about how fast can you get a visa to Russia can be found here. Is the cost or processing time a deterrent to your trip to Russia? Even if you are prepared, traveling to Russia can cost hundreds of dollars before the airfare even figures in. In comparison to China, which still charges a hefty visa fee for US citizens, Russia offers more challenges even for the independent traveler. Remember to register your trip with the US Department of State prior to your arrival in Russia, and contact Travel Visa Pro with any questions about the Russian visa cost. Do you need a visa to go to Brazil?